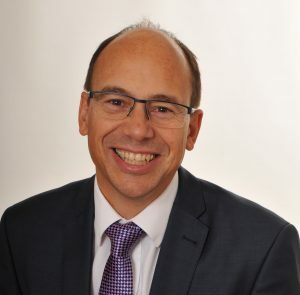 Andrew Warren, Director of BTSA, explores whether certain leaders are born inspirational. HOW DO I BECOME an inspirational leader*? The question was asked during a coaching session with a headteacher. It seemed such a simple question but it nagged away at me. How does one become an inspirational leader? Are inspirational leaders born that way? Does the lucky mother just sense, from the very first cry, that this tiny baby is destined to be “an inspirational leader”? Months later, as the little toddler takes his or her first steps, can all the relatives and neighbours see at a glance, “There goes an inspirational leader?” Is it all in the genes – some have it, most don’t? Is it nature, or nurture? Or, does it happen in a point in time, a defining moment in one’s life – a sort of “Damascus experience”, which suddenly puts all other ordinary leadership practices into perspective? Following such a life-transformational experience does the newly anointed “inspirational leader” start waking up at 5.15am, leaping out of bed with reckless enthusiasm, and after an hour’s brutal physical workout, which would kill most Olympic athletes, eat a healthy breakfast whilst simultaneously digesting the next chapter in the leadership classic, “How To Be Inspirational Like Me”, by I-Know-It-All? And what about character traits? Do you have to be a particular type of person to be an inspirational leader? Is this label reserved for the extraverts? The deep thinkers? Can quiet people become inspirational leaders? What about the fearful? Do these super-heroes breathe the same air as us? Do they sometimes long for the end of the week, the end of the day? Do they get tired, weary and discouraged? Do they ever lose heart and feel like giving up? Is that allowed for our inspirational giants? So many questions going around in my head. Twenty years ago, as I set out on my leadership journey, I was privileged to meet Stephen Covey, author of “The 7 Habits of Highly Effective People.” So much of what he said about habits stuck in my mind that day, but one particular phrase resonated louder than the others: “Leadership is a choice not a position.” And herein lies a potential answer to the myriad of questions. It’s a choice. It’s not a birth right, given to a chosen few; it’s not a character trait available to those with the right Myers Briggs types. It’s a choice. It is, at one level, simply a choice that is available to us all. 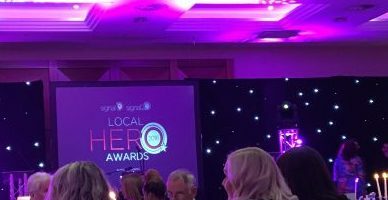 Recently I attended the Signal Radio Local Hero Awards 2016 at Crewe Hall in Cheshire. This glitzy evening was a wonderful celebration of how ordinary people, like you and me, have chosen to make a difference, often against huge odds. As I listened to the emotionally charged commendations, as I watched these local heroes step up to receive their awards, I was reminded yet again that inspirational ways of living are there for all of us. It is a choice; a daily choice, as we get out of bed to make a difference, to choose to live a life with significance, whatever role we play. The evening inspired me; it challenged me; it made me more determined than ever before to seek to release the potential inside each of us. How do I become an inspirational leader? Choose well!